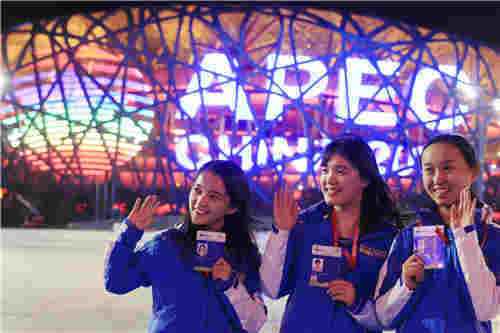 On 9th to 10th April, delegates of Beijing Volunteer Service Federation (BVF) were invited to participate in the First Shanghai Cooperation Organization (SCO) People’s Forum in Xi’an, China. The Shanghai Cooperation Organization was founded on 15th June 2001, as a Eurasian governmental organization jointly launched by leaders of China, Kazakhstan, Kyrgyzstan, Russia, Tajikistan and Uzbekistan. SCO is dedicated to the regional cooperation in politics, security, education and economy. On 1st June 2017, India and Pakistan joined the SCO as member states. Apart from the member states, there are 4 observer states and 6 dialogue partners in the Eurasian region. 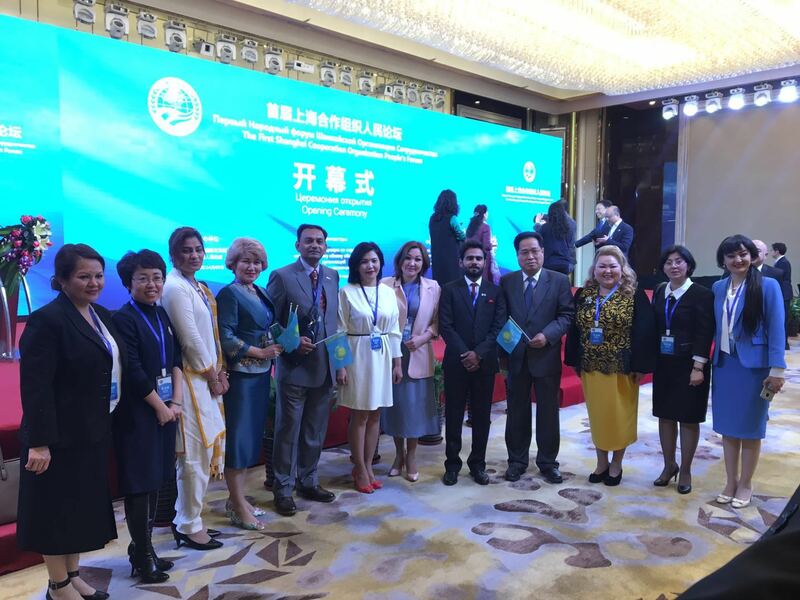 The First Shanghai Cooperation Organization People’s Forum was held in Xi’an, as the first parallel forum of SCO forum in civil society. The Forum invited over 80 former political dignitaries, NGO delegates and think-tank experts from 12 member states and observer states of SCO. The delegates held throughout discussion on the mission of NGOs to promote regional peace and cooperation and to build a community with a shared future for mankind. Mr. Ji Bingxuan, Vice Chairman of the Standing Committee, National People’s Congress of China, Mr. Nurlan Akkoshkarov, Deputy Secretary General, Shanghai Cooperation Organization, Mr. Madhav Kumar Nepal, former Prime Minister of Nepal, Mr. Liu Guozhong, Governor of Shanxi Province, Mr. Wang Yajun, Vice Minister, International Department, Central Committee, Communist Party of China and CNIE Counselor and other dignitaries attended the opening ceremony and addressed speeches. 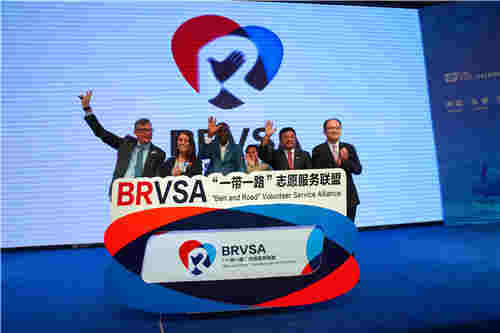 Ms. Liu Jinzhi, Chief of International Department at BVF, was invited to address a speech on the topic of “International volunteerism promotes people-to-people connectivity and to build a community with a shared future for mankind”, to demonstrate the role of international volunteers in eliminating poverty and improving well-being. 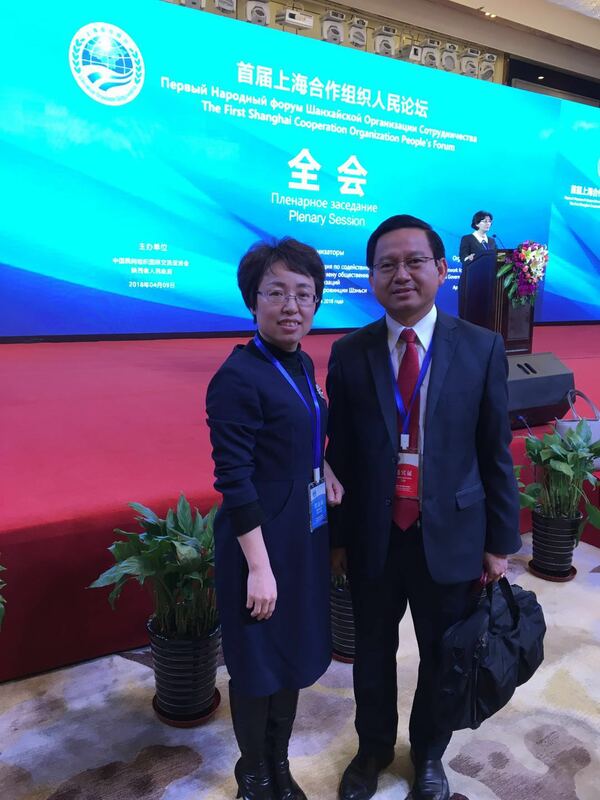 On the Forum, BVF delegates interacted actively with other NGO delegates from Cambodia and Sri Lanka, and reached an initial consensus to launch cooperation projects. The Forum was a full success which produced valuable suggestion and guidance for international exchanges in civil society.